The Friends of the Smokies "Classic Hikes of the Smokies" series continues next month with a hike on the Boogerman Trail. The 8.6-mile hike will features streams, big trees, artifacts and history. Learn how the Boogerman Loop got its unique name, walk along old stone walls that once protected gardens and home sites, and visit towering hemlock and tulip trees on the next guided hike with Friends of the Smokies. Mountain streams, an old wagon wheel and spring wildflowers await participants of this Classic Hike of the Smokies. Hiking enthusiast and author Danny Bernstein (Hiking North Carolina's Blue Ridge Heritage) will lead this 8.6 mile hike along the Boogerman Loop, interpreting the cultural history of the area. The hike is moderate in difficulty, and has a total elevation gain of 1,800'. To register, email Hannah Epperson at hannah@friendsofthesmokies.org or call (828) 452-0720. For more information on hiking the Boogerman Loop, please click here. NPS Digest is reporting this morning that while investigating a report of a suicidal person on March 24th, a Parkway ranger observed a driver operating a vehicle in a very suspicious manner in an area known for galax poaching. The ranger turned on the vehicle, and, as he approached, saw two men exit from it and flee into the adjacent woods, carrying duffle bags. The ranger later conducted a traffic stop and subsequently arrested the driver, identified as Oscar Rincon Reyes, of Spruce Pine, North Carolina, for illegally harvesting galax. Other rangers responded and a search of the adjacent woods yielded three duffle bags containing 15,000 galax leaves. During the investigation, one of the other subjects was identified and an arrest warrant was obtained. On March 27th, rangers and Mitchell County Sheriff’s Office deputies executed the warrant and arrested Francisco Rincon Felipe, also of Spruce Pine. Both Reyes and Felipe appeared before the U.S. magistrate, pled guilty to conspiracy to harvest galax, and were sentenced to 30 days in jail. Investigation is continuing to identify and prosecute the third conspirator. Currently, local market value for galax leaves, used in floral arrangements, is two to six cents per leaf. Galax leaves are being sold for more than a dollar a leaf in the international flora trade and is estimated that galax harvesting is a $40 million a year industry in western North Carolina. Running from Canada to Mexico, the Pacific Crest Trail (PCT) is 2,663 miles in length, and has the greatest elevation change of any America's National Scenic Trails. The PCT is renowned in the hiking community for its stunning scenery. Bill "Skywalker" Walker, who has also hiked the Appalachian Trail and El Camino de Santiago, will share his experience and stories on the PCT and his struggles with extreme weight loss due to his height (6'11") at the REI store in Asheville next month. Bill will also talk about hiking in the extremes of terrain and climate of the trail, difference between the PCT and AT, how to plan a thru-hike, snow issues, the famed Mojave and the high Sierras. The Georgia native is the author of Skywalker: Highs and Lows on the Pacific Crest Trail, as well as Skywalker: Close Encounters on the Appalachian Trail. His presentation will be held on 4/11/2012, from 7:00 p.m. - 8:15 p.m. at REI in Asheville. For more information, and to register, please click here. The National Park Service has founded a National Search and Rescue Academy (NSARA) to provide comprehensive, standardized Servicewide training in basic search and rescue competencies. NSARA will be based in Northern Arizona in order to take advantage of the challenging rescue environments available throughout the region. The first training offering, which will be a six-week-long course in California, will be this fall (see the Friday training calendar for particulars). NSARA will offer a highly structured learning environment. Participants will have to be physically fit and will begin each training day with fitness training and an intensive safety briefing. Training will occur in the classroom setting as well as in various physically challenging technical outdoor environments. Personal preparedness, rescuer safety, and operational leadership principles will be emphasized throughout. NSARA will provide participants with a venue to efficiently attain field rescuer skills in a single condensed format that would typically require numerous years to obtain, including essential field rescue skills in ground search operations, the incident command system, swiftwater rescue, technical rope rescue, search management, and basic aviation safety. NSARA will directly lead to improved workplace safety for employees and enhanced SAR response capability for the agency. National Park Service visitors and employees will both directly benefit from this program. Curling up in warm, comfortable sleeping bag every night is one of the fun parts of camping! To keep your sleeping bag in top condition you must learn the appropriate cleaning and care storage tips. Whether you camp once a month or once a year, a clean sleeping bag is a must for any outdoor adventure. How you clean your sleeping bag will be depend on the size, style, and type of bag you own. Every sleeping bag must be cleaned on a regular basis due to dirt from the camping site and normal dirt and oils from your body. Think of your sleeping bag like the sheets on your bed. To keep your bed and sheets clean you must wash them from time to time and the sleeping bag is no different. Today, you will find many sleeping bags crafted with down or synthetic materials. Down bags must be treated with care and can often require hand washing depending on the outside materials. To hand wash your sleeping bag place the item in a larger plastic bin or a bathtub. The water should be lukewarm and at a comfortable temperature for your hands. Add an appropriate soap for your type of sleeping bag. The cleaning instructions located on the tag may highlight suggested detergents. Gently swirl and knead the bag while pushing it in and out of the water. A small soft brush can be used on the exterior to work on any hard to remove stains. Once the bag is cleaned, drain the tub and run clean, warm water all over to remove any remaining dirt or soap. After the sleeping bag is completely clean you can let it air dry or put it in the drying machine. If your standard at-home machine cannot accommodate the item, especially when washing more than one sleeping bag, you can bring take your bag to the nearest Laundromat which will have larger sized washing machines and dryers. Some suggest adding a drying ball or tennis balls along with an anti-static sheet during the drying cycle. Take note of any drying instructions on the bag to avoid damage. Many of the bags available today are sold with bag covers or cases. At home, keep your sleeping bag in a dry and cool area. Many prefer to bundle all their sleeping bags together in one extra-large plastic bin with a cover to avoid any damage from external factors such as temperature or water. The sleeping bag is one piece of camping equipment you will depend on from trip to trip, so ensure its care and storage all year round. Next month author George Ellison will offer a slideshow presentation on the life and career of Horace Kephart at the REI in Asheville. Horace Kephart left his family and professional career to live alone from 1904 - 1907 in a cabin in what is today the Great Smoky Mountains National Park. Kephart, who is often referred to as the John Muir of the East, took all he learned in the years he spent living in the wilderness and wrote Camping and Woodcraft. George Ellison's presentation will talk about the making of Camping and Woodcraft, why it has become such a highly esteemed outdoor book, and Kephart's pivotal role in the establishment of the Great Smoky Mountains National Park. 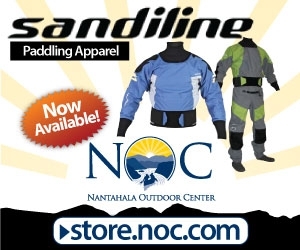 The free presentation will be held on 4/13/2012, from 7:00 p.m. - 8:15 p.m. at the REI in Asheville. For more information, and to register, please click here. On March 22nd, Blue Ridge Parkway celebrated the completion of its new Radio System Communications Center. The opening ceremony was co-hosted by the parkway and the Blue Ridge Parkway Foundation. The center, which features state of the art law enforcement and emergency communication capabilities, will provide radio communications for the parkway and for Kings Mountain NMP, Mt. Mitchell SP, and the Veterans Administration Police Department. Construction was made possible by funding from two NPS partners – the Blue Ridge Parkway Foundation and National Park Concessions, Inc. The 1,800-square-foot center was constructed using energy efficient, biologically safe and sustainable eco-panels to reduce energy demands and provide a safe environment for communications dispatch staff. The park has scaled back both of the extended searches it’s been conducting – one for Derek Leuking, missing since March 15th, and the other for Michael Cocchini, whose abandoned car was found in the park on March 20th. Despite having up to 60 searchers involved in the effort for almost a week, search managers have not found a single clue that they can conclusively tie to either man. Without any concrete leads to pursue, search managers have concluded that it's no longer productive to continue such intensive efforts. Both operations will therefore be scaled back to limited searches. The intelligence gathering portion of the investigation will continue and rangers will be available to follow up on any leads or reports of sightings that may surface either inside the park or beyond its boundaries. The park will also continue to disseminate information about the missing men at trailheads and high-traffic areas in hopes that one of many spring break visitors who will be in the park will come upon a clue or see one of them. If you've followed both of these cases closely you may have noted a few strange details along the way. Park spokesman Bob Miller was recently quoted as saying that "despite having 60 people out there, we haven't found anything that indicates either of them was anywhere other than their cars. We don't want to give up, but we've pretty much exhausted what we can do." No clues or even a warm trail - despite using tracking dogs during both SARs. Oddly, there was a note inside Derek Leuking's vehicle that asked that no one look for him. We've also found out that Leuking was a fan of Bear Grylls, leading to some speculation that he may have wanted to imitate the “Man vs. Wild” survival show. There are reports that he may have also carried survival gear with him, however, he didn't bother to take the sleeping bag or the tent that he purchased just prior to his disappearance. year after the death of his grandfather, whom he was very close to. He actually inherited the truck he was driving. There were reports that Michael Cocchini, the second missing person, was despondent. However, officials also said they had heard reports that Cocchini might have been in Gatlinburg, which is close enough to walk or hitchhike from where his car was parked - about a mile south of the Sugarlands Visitor Center. In both cases, officials seem to be dealing with conflicting clues and details. Did both men try to disappear without a trace? Was their ultimate goal to commit suicide and leave no trace so that no one could find their bodies? Or, is it possible that a hoax is being perpetrated? Many people spend a great deal of time outdoors. Parents take their children out for walks to the local park or around the neighborhood. A next door neighbor might be out cleaning the yard, the mailman delivering mail, the Federal Express truck making stops at various houses and businesses. Unfortunately, anyone who is outdoors doing anything could potentially become a Lyme disease victim, since the ticks that spread this can be anywhere. I discovered this for myself, since I have spent a part of everyday outdoors. From 10 years old through to the present, I was not only outdoors for entertainment purposes, but it was part of my job and part of my responsibilities around the house, since I maintained the yard for my parents by raking leaves, shoveling snow, or sweeping the driveway. And then I got bitten. Likewise, whatever you are doing in your life, whether working at a job or business, being with your family, you will spend some time outdoors—from cutting the grass, shoveling the snow, and keeping up the yard to spending some time hiking. Wherever you are, you might be the potential victim of a tick and not even know it, because you might not even feel the bite. But soon you will start experiencing the first signs you have been infected by a tick with Lyme disease. For example, one day you wake up with some minor symptoms, such as a sore neck or elbow. Maybe you have just a slight fever. But since everybody has something minor wrong with them from time to time right, you might think to yourself: “Am I going to waste time and go to the doctor about this sore elbow? No, it must be just wear and tear.” So you don’t go. But even if you do decide to visit the doctor, he or she may find nothing seriously wrong, since everybody reacts to things differently. So maybe the doctor concludes that you are just experiencing wear and tear or age. So you start thinking nothing is wrong and go about your business as usual. But as time moves on, you start to experience more symptoms, which could be many things – a sore back, legs, neck; maybe you have a fever or sore throat. But even if you now go to the doctor, he or she could still think these are symptoms of just about anything. In my situation, I noticed a strange onset of symptoms beginning in 2005 that were gradual at first, so I ignored them. But then I began to experience more and more symptoms that led me to my first doctor’s visit in many years. At first, I had an inflamed throat that was so bad I could not swallow, which the doctor diagnosed as possible flu. So he gave me some medicine to treat it and it did go away. However, throughout 2005 I noticed a lot more inflammation on various joints, so the doctor gave me X-rays and MRIs, and he diagnosed me with possible wear and tear, but nothing was broken. So while it’s a good idea to make an appointment for a physical when you first feel something is wrong, it can be good when the physical comes back indicating nothing is wrong, but instead the Lyme bug could be lurking within ready to strike when you least expect it. But despite my all clear diagnosis, as symptoms continued, I became more and more concerned, though the doctor told me everything from "Don’t worry about it" to “It could be stress, because you’re working too much.” Then, I began going to health food stores looking for herbs which can treat various conditions. Some gave relief while others did nothing at all. After three more years of doctor visits and tests at some big hospitals in my area, they didn’t do me a lot of good. since every X-ray, blood test, and MRI all came out normal. As a result, I still was not diagnosed with Lyme disease until 2008 as a result of a client who is a dentist. I had come into work one day with an inflamed leg that was so big I could not walk. So when I bossed arrived, I went to the hospital, where they diagnosed me with a condition of a cellulitis infection, gave me an antibiotic, and sent me on my way. The problem was that this was not the correct diagnosis. After I phoned my place of employment to tell them about my hospital visit, the client and my boss instructed me to check for Lyme disease. Though my doctor was reluctant to do the test, telling me, "It is most likely not Lyme disease,” I insisted on them testing me and they did. Then, I returned home, and a few days later, on Monday, the doctor told me the test had come back positive. That was only the beginning of my ordeal, because Lyme requires many months or years of treatment, and the doctor was only willing to give me three weeks because my insurance only covered that amount of treatment. Also, doctor told me it was acute Lyme disease, when in fact I had a chronic case, because it had been undiagnosed and therefore was untreated for several years. As time went on, I did more and more research on the disease and concluded that many people are misdiagnosed that have Lyme disease, such as being diagnosed that they have ALS, lupus, fibromyalgia, chronic fatigue syndrome, possible attention deficit disorder, or other maladies. As a result of such misdiagnoses, people have been read their last rites, have lost jobs, had their families broken up, submitted disability claims, and have even declared bankruptcy. In short, a person can experience everything going downhill, because a Lyme test was not performed in time to stop the progress of the disease at its initial acute stage. The only way to prevent this terrible fate is to know about and ask for a Lyme test, if you experience any strange symptoms. According to medical researchers, Lyme disease can resemble well over 100 different diseases and invade the central nervous system within a short time. So how does this disease get started? It is a bacterial illness that comes from a deer tick, which are active 35 degrees Fahrenheit or higher and are in low lying areas. It is also important to seek out a doctor who knows about Lyme disease, if you believe you have Lyme and the infections that come along with it. A knowledgeable doctor should explain the difference between acute and chronic Lyme in your situation. A big problem in diagnosing the disease is that most people never recall getting bitten by a tick and the blood work for Lyme may show a false negative. The two tests for Lyme are the Elisa and the Western blot. In addition Lyme can be diagnosed through a spinal tap and brain MRI. It is best to ask for these additional tests if the Elisa or Western blot should turn up negative. While these tests may be expensive, if you suspect you might have Lyme disease, it is best to take these tests to avoid what could happen if the disease becomes chronic. You want to catch it in the early stages, when you can easily treat it. For further information or questions or where to find a Lyme literate doctor, please e-mail Marc Merullo at marcmerullo@gmail.com or marcmerullo@yahoo.com or call (617) 308-4642. ** My name is Marc Merullo I was born in Winchester Massachusetts. I have lived in Massachusetts my whole life. I am 39 years old. I have worked the last ten years as a barber and the ten years prior in the sale of building materials and construction. I believe I was infected with Lyme in 2004 and it didn't get diagnosed for over 5 years. I was an outdoor person my whole life now not as much. I am eventually going to relocate to get a different feel of life. On April 19th, the Appalachian Trail Conservancy (ATC) will celebrate the official designation of Buena Vista and Glasgow, Virginia as the newest Appalachian Trail Communities. A full day of celebratory activities is planned, starting in Buena Vista at 10:00am at the Buena Vista Visitor’s Center, followed by a ceremony at the Hiker Shelter in Glasgow at 1:30pm. The two communities are working collaboratively to bring awareness to the Trail and to their respective communities about the national resource. The ATC and town leaders will speak, with a proclamation-signing and an unveiling of new community signs. The Appalachian Trail Community™ designation is a new program of the ATC, the nonprofit responsible for management and protection of the estimated 2,180-mile Appalachian National Scenic Trail. Launched in 2010, this program recognizes communities for their part in promoting awareness of the Appalachian Trail as an important local and national asset. Glasgow and Buena Vista’s designation day will include live music, picture slideshow, prizes and cake. “Buena Vista is excited to have been selected as an Appalachian Trail Community. We are eager to share our community with hikers and other AT enthusiasts and we look forward to working together to promote and protect this wonderful resource and asset,” stated Pat Ohleger of Celebrate Buena Vista. Leuking Search – The park had approximately 60 people and three dog teams assigned to the search yesterday. They were organized into 14 search teams and combed areas off of trails that surround the Newfound Gap Parking Area where Lueking’s car was found on Saturday, March 17th. Trail search teams explored all areas along the trail where it would appear relatively easy to get off the trail and into the woods. Once off-trail, the teams look for tracks or clues that anybody had passed that way, then continue into the woods until they reach a point where it is either unsafe to continue or they reach a barrier, such as a rhododendron thicket, where Leuking could not have gone without leaving evidence of his passage. Other teams followed up on a possible sighting report along Newfound Gap Road, where Leuking may have entered the woods. Cocchini Search – A total of 14 Tennessee Department of Corrections officers joined rangers in searching the east bank of the Little Pigeon River on the far side of the creek from Newfound Gap Road. On Wednesday, officers and rangers covered the west bank of the river and the strip of forest between the river and the Newfound Gap Road which runs parallel to the river. So far, no sign of either man has been found. Whenever the National Park Service has surveyed visitors to Great Smoky Mountains National Park about their planned activities while in the Park, the number one response has always been "viewing scenery - scenic views." Over the years the number and quality of those scenic viewpoints along Park roads has gradually declined. When Park roads were constructed, the forests had been extensively logged and often burned in pre-Park days, leaving unobstructed views in every direction, but 75 years of forest recovery has resulted in many of the scenic overlooks becoming obscured by maturing trees. Over the next few months a Park contractor will be rolling back this "natural clock" by reopening 34 of the most popular roadside vistas along the Park's main roads. Park officials say that this will be the first major vista-clearing initiative in decades. Acting Park Facility Manager, Charlie Sellars said, "We have developed specific clearing prescriptions for every one of the 34 overlooks scheduled for treatment. In each case we will have a Park staff person assigned to guide the contractor in determining which trees should be removed entirely and which will be trimmed or thinned." The Park's goal in renewing its vista management program is to allow the views to be maintained on a seven year cycle. To achieve this, the contractor will apply herbicides to the stumps of the taller-growing tree species to prevent their re-sprouting. At the same time, they will be leaving the lower-growing or shrubby species, like rhododendron and mountain laurel, un-cut, so that eventually these low-growing native species will shade out and discourage the re-growth of the taller trees with less work by Park crews. Motorists can expect to see vista management under way from April 1 through August 1 along Newfound Gap Road, Clingmans Dome Road, the East and West Foothills Parkway, the Gatlinburg Bypass, Rich Mountain Road, Roaring Fork Motor Nature Trail, Lakeview Drive and Cataloochee Road. No roads are expected to be closed to complete the work, but the overlooks being cleared will be closed as needed to accomplish the work safely. This sounds like great news to me. Looking forward to the improvements! Spring is right around the corner and if the warmer weather has you yearning for an outdoor adventure, consider a Volunteer Vacation with American Hiking Society. Whether you need a kick-start to organize your next outing, are interested in traveling to a new destination, or are eager to meet others who share your passion for the outdoors, American Hiking Society offers over 50 trail-building vacations across the country allowing you to give back to the places and trails you love! With a wide range of projects and a variety of accommodations for volunteers, American Hiking’s Volunteer Vacations program offers something for everyone. If you are new to trail work and don’t have a tent, consider the Mt. Baker - Snoqualmie National Forest trip, which offers indoor lodge accommodations in the picturesque Pacific Northwest in July. If you want to experience a rugged, backcountry adventure and sleep under the stars, consider the Sawtooth National Forest trips in Idaho in August. If you are pining for a tropical beach vacation, but still want to give back in the sun, consider the Hawaii Nature Center trip in August or the St. John, Virgin Islands trips in November and December. The American Hiking Society offers projects in the Cherokee National Forest, Big South Fork, as well as one-week of trail maintainence in early October in the Great Smoky Mountains in conjunction with the Trails Forever Program. Your crew will consist of 6-15 volunteers and you will have the guidance and supervision of an experienced crew leader. Food, park entrance fees, campsite or cabin use, tools and a one-year membership with American Hiking Society are all included in your registration fee of $275, making American Hiking’s Volunteer Vacations an inexpensive way to adventure travel, while doing something good for the trails and your spirit. To learn more about American Hiking Society and view the 2012 Volunteer Vacation’s trip schedule, visit www.AmericanHiking.org or call (800) 972-8608. Late yesterday Rangers at Great Smoky Mountains National Park began a search for a second missing person, while the search for Derek Lueking continues. The second subject is Michael Giovanni Cocchini, 23, who is a Nashville resident staying temporarily in Gatlinburg. He was last seen by friends at the Walmart in Sevierville at about 2:00 p.m. on Sunday, March 18. Rangers became suspicious Tuesday afternoon when they noticed that a vehicle had been parked since Sunday at a quiet walkway along Newfound Gap Road approximately 1 mile south of the Park's Sugarlands Visitor Center. The walkway does not connect to the Park's trail system, so there would be no reason that backpackers would leave vehicles there overnight. The walkway is a short, easy, trail that extends into the woods a short distance off the road and then dead-ends at the West Prong of the Little Pigeon River. Rangers began the search at about 4:00 p.m. on Tuesday. A small group of Rangers and a tracking dog conducted a quick search of the trail and a portion of the riverbank, but did not pick up any definite signs of Cocchini. This morning Rangers will be aided by eight Tennessee State Department of Corrections officers and Tennessee State dog team. The officers were assigned to the search through the cooperation of the Tennessee Emergency Management Agency (TEMA) which has provided the Park with a wide range of state resources over the years. 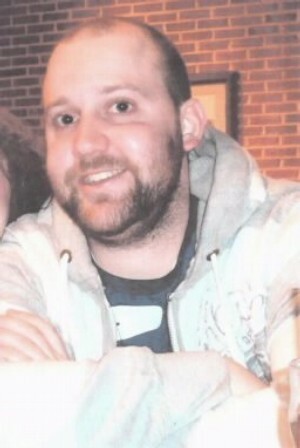 Cocchini is 6 feet tall, weighs 160 pounds and has short black hair and a scruffy beard. He was last seen wearing blue jeans, a white t-shirt and gray or silver tennis shoes with blue stripes. The subject is not known to be a hiker and had no gear for hiking or overnight camping. Anybody who has seen Cocchini since Sunday afternoon is asked to call the Park at (865) 436-1230. According to the NPS Morning Report, two searches are now currently underway in the Smokies - the continuing effort to find Derek Leuking, 24, missing since March 15th, and a new search begun yesterday afternoon for a missing and despondent 23-year-old man. Approximately 30 searchers, three tracking dog teams and a helicopter were employed in yesterday's search for Leuking. Park trackers and search dog team followed up on a couple of potential clues that might help determine his route after leaving his vehicle. Other teams worked the expanded search area, which now includes the overlooks along Newfound Gap Road and Clingmans Dome Road. A helicopter from the North Carolina Highway Patrol surveyed the areas along Newfound Gap Road and some of the trails that are accessed from the Newfound Gap Trailhead. Personnel were also posted at some of the park's other popular trailheads, such as Alum Cave, Chimney Tops, Sugarlands Visitor Center and Clingmans Dome. They are handing out flyers in hopes that somebody coming out of the backcountry may have seen Leuking. A second search was begun yesterday when an abandoned vehicle was found along the Newfound Gap Road. Investigation revealed that the 23-year-old operator was believed to be despondent. Hasty searchers and dog teams began looking for him yesterday, and the operation will be expanded today. We'll post more details here as they become available. Blue Ridge Parkway facilities will open for the 2012 season on a staggered basis beginning in early April. Linville Falls campground in NC opens April 2 and Otter Creek in VA opens April 6. All other Parkway campgrounds open May 11. Picnic Areas at Peaks of Otter and Humpback Rocks in VA and at Linville Falls in NC open April 6. All other picnic areas open May 11. The Peaks of Otter Lodge & Restaurant is open year round. The Museum of North Carolina Minerals near Spruce Pine, NC (Milepost 331), and in Asheville, NC the Folk Art Center (Milepost 382) and the Parkway Visitor Center (Milepost 384) are year round facilities. Other Parkway visitor centers begin opening in late April. The full schedule of opening dates and hours of operation can be seen by clicking here. Biologists at Great Smoky Mountains National Park have confirmed that both a tricolored and a little brown bat found in a park cave tested positive for white-nose syndrome (WNS). This discovery transitions the park from only finding evidence of the fungus that causes WNS in a cave to now finding animals actively affected by the disease. White-nose syndrome is a disease caused by the fungus Geomyces destructans and is responsible for the deaths of millions of bats in eastern North America. It is named for a white fungus that forms on the faces of many infected bats. While the actual cause of death due to WNS is unknown, the disease causes bats to become restless during hibernation, moving about the cave and burning up fat reserves or losing body water they need to survive the winter. There is no known cure for the disease. Bats are important components of intact natural ecosystems and may provide services that benefit people, such as eating large amounts of insect pests. Great Smoky Mountains is home to eleven bat species and the largest hibernating population of the endangered Indiana bat in the state of Tennessee. Of the eleven known species that reside in the park, at least six of them that hibernate in park caves and mines are susceptible to WNS. In 2009 all 16 park caves and two mining complexes were closed to any public entry to delay the importation of the WNS pathogen on visitor's clothing or gear. Park caves will continue to remain closed to human access to minimize the chances of spreading the disease to other areas. "While the confirmation of WNS in the park is not a surprise it is still a sad day for the resource," said Dale Ditmanson, Park Superintendent. "By continuing to monitor bat populations in our caves and forests we hope to minimize WNS affecting other bat habitats outside of our boundaries"
Park visitors are reminded to not handle dead bats or bats found to be acting abnormally. According to the NPS Office of Public Health, WNS does not appear to pose a threat to human health since the fungus that causes WNS only grows at temperatures well below human body temperature. However, WNS can cause sick bats to exhibit unusual behavior, such as flying outdoors or at hibernaculum entrances at all times of day and in all types of weather, so bats may be encountered in unusual settings. "While humans are not at risk of contracting WNS, bats are known to carry other diseases such as rabies. If you see a dead, sick or injured bat within the park, please notify the park at (865)-436-1230," said Bill Stiver, NPS Wildlife Biologist. "Any dead, injured or sick bats found outside of the park should be reported to your local state wildlife agency." To see a brief video about White Nose Syndrome in Great Smoky Mountains, please click here. Last week the Conservation Trust for North Carolina announced that they have donated a small but critical tract of protected land near Cumberland Knob to the National Park Service. * Saddle Mountain Vista, a 201-acre property acquired by CTNC in 2004 with help from the N.C. Clean Water Management Trust Fund and donated to the NPS in 2007. * Roaring Fork Headwaters I, a 49-acre tract purchased by CTNC in 2009 and donated to the NPS in 2010. All three properties are highly visible from several Parkway vantage points including the Fox Hunters Paradise Overlook in the Cumberland Knob National Recreation Area. They all contain headwater streams of Roaring Fork, a tributary of the Fisher River, and headwaters of the Yadkin River, which provides drinking water for a million people in the North Carolina Piedmont, including residents of Winston-Salem. The three properties are part of a growing landscape of protected land in the area. They lie north of the 3,400-acre Saddle Mountain Wilderness area and south of the 1,000-acre Cumberland Knob National Recreation Area. The CTNC press release includes a map of the three properties. 1. All Trails: AllTrails.com is a great resource for hikers. Sponsored by National Geographic, it is one of the most popular digital networks for hiking and outdoors enthusiasts. You can find tons of resources on outdoors activities—from snowboarding and skiing, to mountain biking and hiking. You’ll also find an invaluable database of trails and local events, and you can track your activity metrics or keep a “trail journal” to document your trip. Best of all, the site boasts an iPhone app, so that you can access these resources when you need them most. 3. Knots, Splices and Ropework iPhone app: When you’re hiking, a knot instruction guide can come in pretty handy. This iPhone app gives you access to tons of knots and splices, and provides concise directions so you can replicate them when you need a really good knot on the go. 4. Lightweight Outdoors: Everyone’s favorite outdoor blogger, Phil Turner, is an invaluable social media resource to count on when gearing up for a hike. The freelance outdoor writer lends plenty of great hiking tips and insight on his blog, Lightweight Outdoors. Whether it’s a rundown of his latest trip to Arran, or a review of a new outdoor-themed DVD, outdoor enthusiasts are sure to learn a great deal by keeping an eye on his site. 5. This Hiking Trail: This Hiking Trail is a great site for hikers everywhere. Based on your location, it identifies local hikes in your area and highlights hikes of interest. You can also search for hikes with special features, like those that allow dogs. Simply input your zip code and find the best local hikes your neck of the woods has to offer. The site is also integrated with several social networks, so you can share your favorite hikes across the web. 6. Trails: This “intuitive GPX mapping” iPhone app lets you track your hiking route via GPS–it also provides topographical views so that you can gauge the terrain before you embark on your trek. Great for geotagging and geocoding, this site enables users to share trips and tracks via Google Earth. 7. American Hiking Society: The American Hiking Society’s webpage is a catch-all for hiking resources. The site features hiking news, current events, featured trips, programs and much more. You can find volunteer opportunities, hiker supplies, and plenty of ways to donate to environmental preservation organizations. And the AHS is very active on social media channels—just check out their Facebook and Twitter accounts for even more outdoor insight. Officials from Great Smoky Mountains National Park have announced that Tremont Road will be closed from dawn to dusk on Tuesday, March 20 and on Tuesday March 27, for the delivery and installation of a septic tank. During the closure periods there will be no access to Great Smoky Mountains Institute at Tremont or the West Prong, Lumber Ridge, and Middle Prong trailheads. 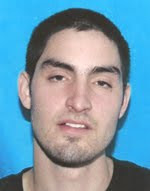 Rangers at Great Smoky Mountains National Park have been searching for Derek Joseph Leuking, 24, of Louisville, TN who was reported missing by co-workers and family members on Thursday, March 15. Leuking was reportedly last seen at 4:00 a.m. Saturday, March 17 at the Microtell Hotel in Cherokee, NC. The subject's white Ford Escape was located Saturday morning at the Newfound Gap Parking Area in Great Smoky Mountains National Park. Since that time Rangers have searched over 40 miles of the Appalachian Trail and other connecting trails radiating out from Newfound Gap, but have not found any conclusive signs of Leuking. He was believed to be carrying a dark colored daypack, but not a tent or sleeping bag for overnight use. The subject is described as a white male, 5'11" tall, 220 pounds with short brown hair and a short beard. He is believed to be wearing black track pants, white tennis shoes and may have had a Realtree camouflage rain suit. Rangers ask that anyone who may have seen Leuking either inside the Park or elsewhere since Saturday morning call the Park's Communication Center at (865) 436-1230. The National Park Service and the National Park Foundation, the official charity of America’s national parks, invite people everywhere to enjoy, explore, learn, share, and give back to America’s nearly 400 national parks during National Park Week 2012. Celebrating the theme, “Picture Yourself in a National Park,” National Park Week will run from Saturday, April 21 through Sunday, April 29. Throughout the country, visitors can enjoy the beauty and wonder of 84 million acres of the world’s most spectacular scenery, historic places and cultural treasures for FREE! National parks will mark the annual celebration with special events and activities including Volunteer Day on April 21, Earth Day on April 22, and Junior Ranger Day on April 28. From ranger-led hikes and kayak trips to camping and exploring, park visitors can plan their National Park Week at www.nationalparkweek.org. Discover information about events, special activities for visitors of all ages, how to share your park adventure with other travelers, and how to support the parks. Here's your chance to become a professional gear tester! Backpacker Magazine is currently looking for exceptional people that share their fascination with new products, cool gear, and upcoming trends. If selected, you will will win two prizes. First, you will test gear for Readers' Choice issue in January 2013. Second, you will become an elite member of the Backpacker Reader Reader team and will be sent on assignment to Outdoor Retailer Summer Market, 2012, in Salt Lake City to write, blog, photograph, and maybe even star in a video or two at the world’s largest outdoor industry trade show. Your job will be to give Backpacker readers a “man or woman in the aisles and behind the scenes perspective on upcoming new gear and new trends. To apply, send a writing sample and a compelling video to Backpacker by May 15, 2012. For more information, please click here. U.S. Forest Service officials announced this week that beginning March 16, 2012, boaters with permits may float the upper segment of the Chattooga River when flows are high enough. Boating is now allowed on the main stem of the upper segment of the Chattooga Wild and Scenic River between the confluence of Green Creek in North Carolina and one-quarter mile downstream of the Lick Log Creek confluence in South Carolina from December 1 to April 30. Back in December I posted a short video from a group of multimedia artists that spent 25 days hiking the 219-mile long John Muir Trail last summer. The video was only a small taste of a documentary film the group is currently working on. Recently, the group published the first official trailer for the documentary, called MILE...MILE & A HALF: A Journey Across The John Muir Trail. I know I said this back in December, but I'm really looking forward to seeing the entire film. The incredible scenery from the Sierra Mountains is pure inspiration. For more information on JMT: the Muir Project, you can visit the film crew's website. MILE...MILE & A HALF (trailer) from The Muir Project on Vimeo. Great Smoky Mountains officials have announced that the Wears Cove entrance to the park will be closed from March 15 - April 5 for bridge and utility line replacement. There will be no access to the Little Greenbrier Schoolhouse during this time. Metcalf Bottoms Picnic Area will open as scheduled on April 1. The north loop and picnic pavilion will open on April 6. Planning a trip to a national park? Want to keep a “life list” of the parks you visit? Meet your new favorite app. Developed by the National Park Service’s long-time nonprofit educational partner, Eastern National, the new app provides links to all 397 national park websites for quick access to trip planning. The app also allows users to keep track of the parks they’ve visited and add photos and descriptions of the trip. You can also make a wish list of parks to check out. Every park on your list gets a red push pin on the app map. The app is designed to complement Eastern’s wildly popular Passport to Your National Parks® program by helping users find passport stamp cancellation stations in parks so they can record the location and date of their visit. The app is a free download at the iTunes store. It is currently available for iPhones and iPads. An Android version will be added later, as will additional features. From 5:00 a.m. this morning through Wednesday, March 14, traffic on the north-bound Spur (U.S. 441) between Gatlinburg and Pigeon Forge will be funneled into one lane while a Park contractor removes unstable debris remaining from a March 5 rock slide. Traffic in the right hand lane of the Spur will be shifted into the left lane from just north of Little Smoky Road at the Gatlinburg Welcome Center to Huskey Grove Road, a distance of about one mile. Traffic will continue normally in and out of Beech Branch. Park managers say that north-bound motorists can also expect to experience traffic stoppages of up to 10 minutes whenever loose material is being pulled down from the face of the slide and while dump trucks are being loaded to haul away the rock and dirt. Great Smoky Mountains National Park Superintendent, Dale Ditmanson said, "Motorists leaving Gatlinburg enroute to Pigeon Forge can expect to experience delays and will need to pay close attention to the flaggers, temporary signs and other traffic control devices." Something that I found particularly intriguing is the announcement that the Blue Ridge Parkway will be partnering with Ray’s Weather and Appalachian State University to build a comprehensive weather website and smart-phone application covering the entire Blue Ridge Parkway. Using information from weather stations and webcams installed along the Parkway, the site will include custom forecasts, live weather conditions, live webcam images and video, radar and satellite imagery, climate information and reader supplied photography and comments. A complete list of the approved projects for 2012 can be found on the Foundation’s website. The USDA Forest Service is beginning a study of the road system in the Chattahoochee National Forest, and wants to know which national forest roads are important to visitors and why. Anyone may provide comments now through April 13. The three Ranger Districts that make up the Chattahoochee National Forest are scheduled to complete transportation studies this year. A study on the Oconee Ranger District was completed last year. This is a nationwide initiative, with all national forests completing studies by 2015. The transportation studies identify roads needed for safe and efficient travel and for the protection, management, and use of national forests. At the same time, the studies offer an opportunity to identify roads that are no longer needed. According to Forest Service officials, the number of overdue road maintenance projects continues to grow, while a greater number of visitors are using the road system. Roads that cannot be adequately maintained can be dangerous to visitors and threaten forest health. They can increase sedimentation into rivers and streams, degrading water quality and impacting fish and wildlife. Nearly everyone who uses the national forest will be affected by possible future road management decisions, making it important to work together today to identify a sustainable road system. Some possible options that may be considered in the transportation study include maintaining individual roads at current standards; changing the level of access from passenger cars to high clearance vehicles; adding new or greater seasonal restrictions; changing management jurisdiction; implementing year-long closures; or removing some roads entirely. The Forest Service will analyze the level of access needed to efficiently manage a healthy forest. Desires of the public, potential risks to visitor safety and forest health, and agency road maintenance costs will be among other important considerations. The transportation study is not a proposal or decision, but it is intended to help with road management planning. Before any future actions are taken, the Forest Service will provide additional opportunities for the public to participate in the decision making process. Anyone may view maps of roads on the national forest and provide input through an online comment form on the Chattahoochee-Oconee National Forests website. Hardcopy planning maps and comment forms are also available for review at the Ranger District offices and the Forest Supervisor’s office. On March 17, the Appalachian Trail Conservancy (ATC) will celebrate the official designation of Waynesboro as the newest Appalachian Trail Community™ at the Dominion Pavilion at Constitution Park beginning at 10:00 AM. The city will celebrating the ribbon cutting of the newly completed greenway, and will host speakers including the ATC’s new executive director, Mark Wenger, as well as local leaders including Mayor Frank Lucente. The Appalachian Trail Community™ designation is a new program of the Appalachian Trail Conservancy, the nonprofit responsible for management and protection of the estimated 2,180-mile Appalachian National Scenic Trail. Launched in 2010, this program recognizes communities for their part in promoting awareness of the Appalachian Trail as an important local and national asset. Waynesboro’s designation day will include a chance to walk on the new greenway and speak with local groups such as the Virginia Department of Forestry, the South River Science Team, and representatives from the two local volunteer A.T. maintaining clubs - Old Dominion A.T. Club and Potomac A.T. Club. *** Win a Trip to Glacier or Yellowstone (your choice) in the Pick Your Park Sweepstakes. For more information, and to enter, visit the Bigkskycountry.com website (no purchase is necessary, but it does help to support this website!). Tennessee Gov. Bill Haslam and Environment and Conservation Commissioner Bob Martineau awarded $565,000 in Recreational Trails Program grants to recipients across Tennessee this week. The Recreational Trails Program is a federally-funded program established to distribute funding for motorized, non-motorized and diverse recreation trail projects. The funds are available to federal, state and local government agencies, as well as non-profit organizations. Recreational Trails Program grants may be used for non-routine maintenance and restoration of existing trails, development and rehabilitation, trailside or trailhead facilities such as restrooms, kiosks and parking lots, construction of new trails and land acquisition for recreational trails or corridors. Funding for RTP grants is provided by the Federal Highway Administration through the federal Safe, Accountable, Flexible, Efficient Transportation Equity Act. The Tennessee Department of Environment and Conservation administers this grant program for the state. The maximum federal share for each project is 80 percent, with RTP grant recipients providing a 20 percent match. Grant recipients were selected through a scoring process with careful consideration given to the projects that met the selection criteria and expressed the greatest local recreation need. You can view details for the seven grant recipients by clicking here. For additional hiking information in Shenandoah, please click here. Win a Trip to Glacier or Yellowstone! Starting today, Bigkskycountry.com is offering you a chance to enter a random drawing to win a trip for two to either Glacier National Park or Yellowstone National Park - your choice! The winner of the drawing will choose between a 3-day guided tour of Yellowstone, or a 3-day guided backpacking trip in Glacier. And, in addition to the dream excursion into one of the premier parks in the world, winners will also take home a Mountain Hardwear Pack (up to a $229.90 value) and a pair of Montrail Badrock OutDry Boots (a $150.00 value). No purchase is necessary. The Pick Your Park Sweepstakes ends at 11:59:59 P.M. (MT) on April 10, 2012. For more information, and to enter, visit the Bigkskycountry.com website. Old man winter may have made a late arrival in your neighborhood but summer and the family camping season is just around the corner. Camping is known to be a good way for families to reconnect, to help strengthen family bonds, and counter the stressful effects of busy lifestyles. Many national forest campgrounds were designed, developed, and are managed for families, making them outstanding and affordable family vacation destinations. Each year more families are discovering great family vacation destinations in national forest and grassland campgrounds. ForestCamping.com, the U.S. National Forest Campground Guide website, is a complete and comprehensive guide to developed campgrounds in national forests and grasslands. It provides detailed information to campers looking to experience the great outdoors. In addition to managing a website, Fred and Suzi Dow also self-publish Ebook CDs and downloads of eleven U.S. National Forest Campground Guides, which can be purchased online at their website. Using ForestCamping.com, with more than 2,400 developed campgrounds in 175 national forests and grasslands scattered across the country in 44 states, families can be assured they’ll find a Forest Service campground with what they want to see, do, and enjoy. Fred and Suzi Dow, authors and publishers of ForestCamping.com, have devoted 17 years to visiting, personally researching, and providing the public with free, detailed information about 175 national forests and grasslands and more than 2,400 personally surveyed campgrounds. With up to 55 fields of information in each campground review, lots of camping pictures, and authors who have actually visited the camping locations, this looks to be an extremely useful tool. Great Smoky Mountains Superintendent Dale A. Ditmanson has announced today that the Park's proposal to begin collecting for the use of the Park's backcountry campsites and shelters has been approved by the National Park Service. This approval clears the way for the Park to move forward with developing an online system to collect fees beginning in 2013 for reserving and use of the Park's backcountry by overnight hikers and equestrians. The Park developed the plan in order to improve its trip-planning and reservation services to users and to expand its backcountry Ranger presence to better protect park resources through enforcement of food-storage and other regulations and improved visitor education regarding Leave-No-Trace principles. The proposal was open for public comment last summer and some 230 written comments and two petitions were received during the comment period. According to Ditmanson, the public comments provided a great deal of constructive input on the concerns Park backcountry users had about the fee plan. "Many commenters were under the misconception that the Smokies is legally prohibited from charging user fees. The Park is prohibited from charging a toll or license fee from motorists crossing Park roads, by language in a 1951 deed under which the ownership of some park roads was transferred from the State of Tennessee to the National Park Service. But, we have long been authorized to collect user fees for specific activities such as front country camping, weddings, and commercial filming." "There was also a significant amount of concern about our initial plan to utilize the same computerized federal reservation system, www.recreation.gov that virtually all national parks use to reserve drive-in sites in front country campgrounds. We acknowledge that some of the policies, such as the lead time for making reservations and cancellations, are not a good fit for more spontaneous backcountry users. We will not use that system unless we are convinced that it can provide the level of service we want to offer, and are exploring the alternative of developing a stand-alone software program tailored specifically to the Smokies. The system developed will also need to be practicable for Appalachian Trail thru hikers whose itineraries evolve from day-to-day." "Concern was also raised about the range of fee amounts that were under consideration and that the resulting revenues may be diverted to other programs. We have decided to focus our plans around the lowest and simplest of the fees under study: $4 per night per person. Most importantly, 100% of the revenue from this program will be invested in improving back-country services through extended hours of the back-country office, trip-planning assistance, on-line reservations, and protection of park resources through increased ranger staff. " Now that the proposal has been approved, Park managers plan to provide periodic updates as plans for the reservation system evolve. Fire Management personnel at Great Smoky Mountains National Park have announced plans to conduct a 280 acre prescribed burn along the park boundary near Lake in the Sky and the Top of the World community in Blount County. The Lynn Hollow controlled burn is planned for a two day period between March 12-31, 2012. The specific date is dependent upon prevailing weather conditions. It is anticipated that residual smoke and mop-up activities could last for several days following burn operations. The area to be burned is bounded by: Goldmine Trail, Cooper Road, Kingfisher Creek and Flats Road. Access to Goldmine Trail will be restricted during fire operations. The purpose of this controlled burn is to reduce hazardous fuel accumulations in the vicinity of residential communities (wildland - urban interface) and to restore a diverse and functioning eco-system. The Lynn Hollow area has been impacted by pine bark beetles resulting in a high fuel load of dead and down woody materials. Using fire in a controlled burn will help to reduce the likelihood of an uncontrollable wildfire while helping to restore the yellow pine/hardwood forest. What’s the protocol when passing another hiker? Is it just me, or does it bug you when you pass someone on the trail and they don’t say hello, or even acknowledge your existence? I can understand not saying anything when you’re on a short, popular trail, with a ton people passing by every minute. But when you’re five miles deep in the backcountry, and there’s no one else around, I just think it’s impolite to ignore a fellow hiker. Although this happens fairly often, I’m writing this specifically in reference to two guys that passed us on the Appalachian Trail near Spence Field a couple of weeks ago. Not only did they fail to acknowledge us, they didn’t even look at us! I should point out that most people do say hello. There are many who will even start up a conversation for a minute or two. In fact, I love meeting people on the trail. As I’m sure is the case with most seasoned hikers, but I’ve meet quite a few interesting characters over the years while out on the trail. My wife and I once met several Buddhist monks from Vietnam, all dressed in traditional clothing, while hiking in Rocky Mountain National Park several years ago. They were taking part in a Buddhist monk convention in Estes Park, and decided they wanted to do a little hiking while in the mountains. We chatted with a couple of them, and even had our picture taken with one of them. They were all very friendly. It was probably one of the most unique and memorable hikes that I’ve ever been on. Last summer we ran into a guy at Ptarmigan Tunnel in Glacier National Park who could probably pursue a career as a stand-up comedian. He had the five us in stitches while telling some of his crazy hiking and camping stories from over the years. Maybe it’s just a pet peeve of mine, and I’m certainly not trying to become the Miss Manners for “trail etiquette”, but it does bother me, to an extent, when people don’t say hello. Am I the only one? The second annual Spring on Springer Dahlonega Trail Fest will celebrate Dahlonega's designation as an AT Trail Community by the Appalachian Trail Conservancy and Dahlonega’s position as the southern gateway to the Appalachian Trail. It will be held on March 16-18 on the cusp of the first day of spring in Dahlonega, Georgia. The Trail Fest will include camping, speakers, films, music, shuttles to Springer Mountain and Amicalola Falls, equipment vendors, and workshops on such topics as safety, camping techniques, and equipment. Fun trail related activities such as a 5k trail run, canoeing/kayaking, guided hikes, and local tours will be held as well as kid friendly outdoor activities. 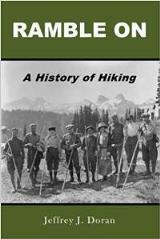 2012 featured speakers/authors include: Warren Doyle, record holding 16 time thru hiker; Gene Espy, second person to ever thru hike the AT in 1951; Paralee Dawson, section hiker and author; Sandra Friend, author of over 15 hiking guidebooks; and Johnny Molloy, author of over 38 hiking guidebooks. Films will include: TREK: A Journey on the Appalachian Trail and Walking the West: Hiking 2600 Miles from Mexico to Canada on the Pacific Crest Trail. The Trail Fest will be a fun filled weekend celebrating Dahlonega’s Trail Community designation, the importance of the Appalachian Trail to Dahlonega and Lumpkin County, the significance of Dahlonega to the many users of the AT, and all aspects of responsible use of the north Georgia forests for recreation. For information and details, check the Trail Fest website. Shenandoah National Park Fire Managers are planning several prescribed burns in the park this year. Ignition of prescribed fire is dependent on favorable weather conditions, and due to weather uncertainty, it is not possible to predict the exact dates for each burn. • Big Meadows Prescribed Burn: A portion of Big Meadows, the open area across from Byrd Visitor Center, is burned each year. Between now and April, approximately 35-65 acres will be treated using controlled fire for the purpose of maintaining the open vista by preventing encroachment by trees and shrubs. • Jarman Gap Prescribed Burn: Two sections totaling 508 acres will be burned over two to three days in the early spring. This prescribed burn is located in the South District from Sawmill Run Overlook to Jarman Gap. The burn is designed to improve habitat for yellow pine and oak communities which require fire to regenerate. • HQ RAWS Field Prescribed Burn: Approximately one acre located at park headquarters will be treated with controlled fire in order to reduce woody plants in the vicinity of one of the park's Remote Automated Weather Stations (RAWS). All prescribed burns will be conducted as interagency projects, with local support, under the guidance and direction of trained and experienced National Park Service personnel. Officals for the Cherokee National Forest have announced that the 2012 Tellico River Clean Up will occur this Saturday, March 10, 2012, at 8:00 a.m. Registration will be at the Tellico Ranger Station on Tellico River Road. The first 100 participants will receive a fee tee shirt. Participants should wear long pants, sturdy shoes, gloves, and long sleeve shirt. Also bring your lunch and plenty of water. The event is sponsored by USDA Forest Service-Cherokee National Forest, TVA, Trout Unlimited, Chattanooga Trout Association, Keep Monroe County Beautiful, Atlanta Whitewater Club, Chota Canoe Club, and the Tellico Motorcycle Outfitters. For more information contact the Tellico Ranger Station at 423-253-8400. Big South Fork National River and Recreation Area and Tennessee Department of Environment and Conservation, Division of Water Pollution Control (TDEC), will plug and reclaim fourteen abandoned oil and gas wells in the park this spring and summer. The project will be completed with federal funds through a cooperative agreement with TDEC. This project will improve safety conditions for visitors and protect natural resources in the park. Miller Energy Resources was selected by TDEC to perform well plugging operations. The fourteen wells slated for plugging are located throughout the park. Work is scheduled to begin immediately. In the interest of visitor safety and overall project success, temporary closures of site-related access roads and trails may be necessary. The public will be notified of any closures at least one week in advance to allow visitors to prepare alternate plans for park activities. For further information or questions concerning this project, please contact Chief of Resource Management, Tom Blount, at (423) 569-2404, extension 252. Today’s consumers face a uniquely modern dilemma: too many choices. As evidence, consider that it’s not unusual for a supermarket to offer 50,000 items for sale. In comparison, a 1940s supermarket might have sold 3,000 items, according to The Business of Food. You can bet modern shoppers spend far more time with mouths agape, overwhelmed by the sheer number of cereals, olives or lunchmeats to choose from. This same pattern applies to the search for a good pocket knife. Actually, it’s compounded when you’re looking for a folded knife, because there are hundreds of thousands of knives for sale online. A search for “pocket knife” on the Google Shopping website returns 1,630,000 items – more products than the average Victorian-era shopper probably saw in an entire lifetime. The search for a high-quality, long-lasting pocket knife can seem like a gargantuan task, unless you know what questions to ask. The following questions will help you find the right folding knife for your needs. How Will I Use My Pocket Knife? We’re assuming you’re looking for an EDC (everyday carry) knife, something that conveniently fits into your pocket and can be put to good use on a daily basis. It’s surprising how often one uses a pocket knife when it’s just an arm’s length away. If you’re looking for a knife for hunting or fishing, you’ll probably want a tactical or sporting knife rather than a general-use folding knife. What Activities Will I Use it for the Most? Your occupation and daily activities will determine which is the best pocket knife for you. For instance, while a paper-pushing cubicle worker might use his or her folding knife mostly for opening envelopes and food or other packaging, a construction worker might require a folding knife to cut open the tough plastic around building materials. To begin to narrow down which features you need, think about which of the following tasks you’d be likely to complete with your pocket knife. First aid: Removing splinters, cutting bandage, cutting seatbelts in emergencies. Look for a serrated edge, which will come in handy for cutting away seatbelts and bandages. A sharp tip is ideal for working out splinters. Office duty: Opening envelopes, cutting twine, prying open food containers. A flat-edge folding knife should work nicely for these purposes. You may want a locking blade, so the knife won’t open while you’re running errands around town. The Titanium-folder, for example will meet your needs and then some: Your co-workers will be wowed by this beautiful knife. Food prep. Cutting cheese, preparing produce, spreading peanut butter. During emergencies or while camping, a pocket knife can come in handy for food preparation. Chefs understand that a sharp knife is a safe knife. If your pocket knife is dull, it will be harder to control the handle while you’re preparing food. Ideally, you want a folding knife that stays sharp for a long time. Additionally, your knife should feel solid and comfortable in your hand. Self defense: Fighting off attackers, scaring away muggers. When you’re fending off an attack, you don’t want to waste time getting your knife ready. Both assisted-opening knives are quick on the draw, assuming you spend a little time practicing with them. Be sure to check your state’s laws regarding assisted-opening knives – some states restrict or even ban their use. Once you’re aware of how you will use your pocket knife, you can prioritize top features such as our new Rapid Response Knives. Weight and feel. How comfortable does the knife feel in your hand? Will it seem too heavy if you carry it around all day? Size. An EDC folding knife should slide easily into your pocket. Some people prefer to carry their knife in a suit pocket, where it is less obvious. Blade edge. A serrated section will bump up the versatility of your pocket knife. Protective sheath. Some folding knives come with a protective case. For instance, the C103 Mustang is shipped with its own leather belt sheath. Blade material. Folding knife blades may be composed of carbon steel, stainless steel or even titanium alloys. You could spend a lifetime understanding the different types of metals used in knife blades, but in general, stainless steel is resistant to corrosion and easy to sharpen. Carbon steel is more durable than stainless steel but more susceptible to corrosion. While pocket knife aficionados would probably add other features, this list is a great starting point for someone looking for a good everyday pocket knife. The U.S. Forest Service plans to implement a prescribed burn on Singecat Ridge in McDowell County between now and late March, depending on the weather. The prescribed burn could occur as early as Tuesday, March 6. The Forest Service’s Grandfather Ranger District of the Pisgah National Forest plans to burn approximately 2,000 acres on National Forest land and around 100 acres on Blue Ridge Parkway land. The center of the burn unit will be approximately 10 miles northwest of the city of Marion. The boundary of the burn is the Blue Ridge Parkway to the north, Bee Rock Creek also on the north above the Armstrong Fish Hatchery, Highway 80 on the west, and Singecat Branch and Armstrong Creek on the east. This is the first prescribed burn conducted under the Grandfather Restoration Project. Last month, Agriculture Secretary Vilsack announced $605,000 in Collaborative Forest Landscape Restoration program funding for the project. Woods Mountain Trail #218, Armstrong Creek Trail #223, and Bad Fork Trail #204 will be closed for the duration of the project, which may last up to five days to provide for visitor safety.